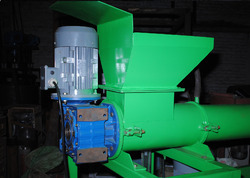 Our range of products include grout machine, grout pump and electric powered grout machine. 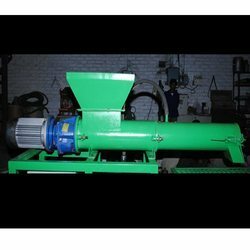 We have come up with a wide assortment of Grout Machines that is available in many sizes, specifications and patterns to cater the demands of clients. The progressive cavity rotor - stator type pump is the perfect solution when pumping viscous, abrasive or solid laden materials. Commonly used for commercial as well as industrial purposes, these machines are highly demanded and can be easily customized to suit the variegated requirements of clients. These machines are equipped with grouting paddle & polypropylene brush that facilitates easy processing and operations. We offer these machines at most affordable rates. 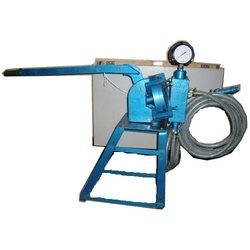 Our organization has gained recognition as an affluent manufacturer and exporter of Grout Pump. In the manufacturing process of this machine, we utilize the finest grade components and advance technology. Excellent finish, sturdy construction, longer service life, easy operation and cost-effectiveness, these are few features of the offered Grout Pump. We assure our clients that this machine is quality tested on predefined parameters to meet the international standards. High Pressure Cement Grouting Pump. It is the special equipment used for cement and other grouting, injection and filling with pressure. Looking for Grout Machine ?